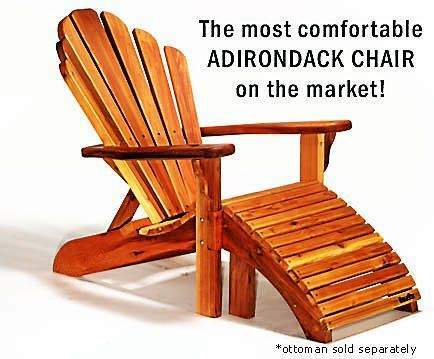 Baldwin Furniture of Middletown is best known for its version of rustic wooden plank Adirondack chair designed by Thomas Lee in 1905. It takes its name from the designer’s vacation in the Adirondack Mountains in 1903. Courtesy photo MIDDLETOWN >> When you walk into Baldwin Furniture, you’re met with such a warmth that it’s easy to see how family-oriented the business is. Although the showroom is the main attraction, the business also holds a playroom, two dogs, and swings in the backyard that sit right next to a scenic river. 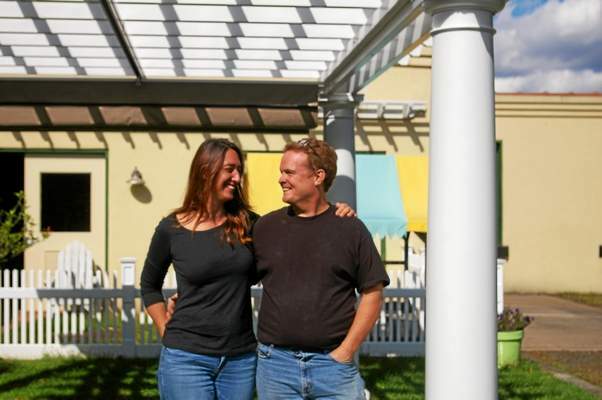 Max and Cheri Baldwin bought the Middlefield Street location in 2006 and have been expanding the business with the changing economy ever since. The company is best known for its Baldwin chair, a version of rustic wooden plank Adirondack chair designed by Thomas Lee in 1905. It takes its name from the designer’s vacation in the Adirondack Mountains in 1903. When the economic recession began in 2008, the business was hit hard. “We’ve never been in a situation where we haven’t had business before,” he said. What Baldwin believes keep his customers coming is the fact that he’s always connected with them. Baldwin uses this information to personalize every order. If building a wooden chair for example, he has to be aware of the textiles and colors that go into every board and place them together in a way that his customers love. “There’s a lot of artistic expression that goes into it,” he says. With his drive to grow with the changing economy and apply that artistic expression, Baldwin began to build pergolas. He built the first pergola for his house; and because he enjoyed building it so much, he continued to build more. Baldwin then spent a majority of his time and energy just focused on the pergola line alone and eventually created five different styles of the structure. As predicted, the pergolas became a hit and they now sell for about $6,000 to $9,000 depending on what the customer wants. 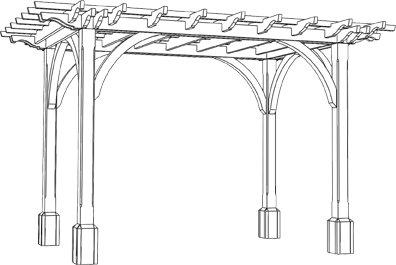 Production of the pergola happens over the span of three weeks. 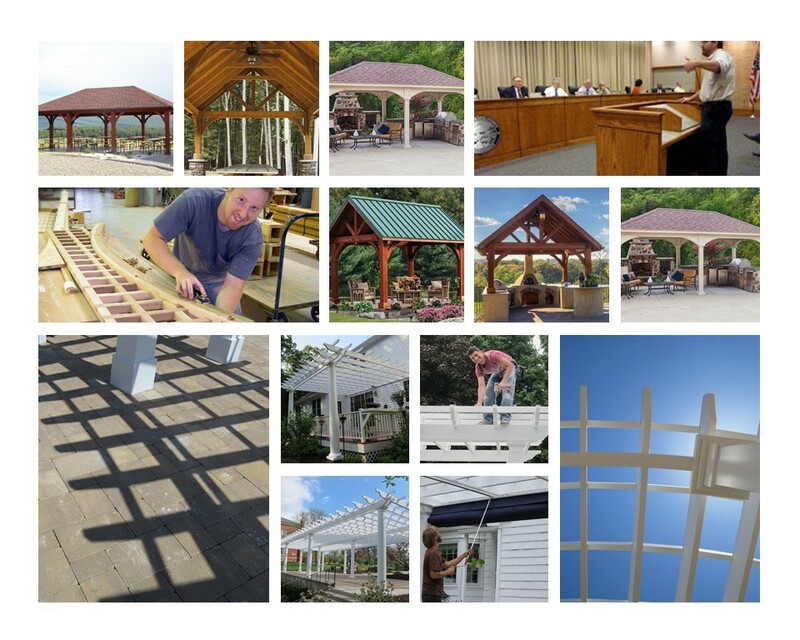 Customers have the option of going to Baldwin’s website, customizing their pergola and getting an estimate price right then and there. The Baldwin business website has been a fundamental part of their success and is one of the things that Baldwin says set them apart from their competitors. With a website, customers have the ability to adjust what they want online. He owes his online business to the computer skills he learned as a kid. When he was 12 years old, he taught himself how to program. For four years, he would spend eight hours on the computer creating computer games. He then became very interested in woodworking and construction, prompting him to start his official business when he was just 16. When the internet came around in the early ‘90s, Baldwin had the chance to combine his two loves and used them to start his business. However, Baldwin states it wasn’t such an easy road getting to where he is today. There were some moments when he, along with others, doubted what he was doing. By the time he was 20, Baldwin had accidents in which two of his fingertips were cut off and there were moments when he questioned if he even wanted to be in the woodworking business anymore. “But after I married my wife Chari, it got better,” he says with a smile. Chari, along with Max’s brother and mother, work alongside him, and Max says he’s very appreciative that they all work together. Although self-employment is difficult in this changing economy, the Baldwins have found a way to make it work by adjusting to the economy. They’ve sold furniture, pergolas, vinyl pergolas and now do commercial jobs. As for the future, Baldwin says they plan to do more of the high-end commercial jobs. They just completed a job for Avalon Bay, a company that builds massive outdoor complexes and called Baldwin’s pergolas the best they’ve ever seen. He now makes all their pergolas and look forward to the challenging projects that lie ahead. For information on Baldwin Furniture, see baldwinfurniture.com or call 860-344-5103. Baldwin Out Door Comfort prides itself on providing the highest quality outdoor products. Thank you my friend, we just got done with the big pergola, it took longer to run the wires than it did to put the pergola together. It is freakin sweet Max, oh and by the way Deana Martin, Dean's daughter lives next door. We did a three story add on for them but she said it looks spectacular. Thanks again Max, I'll be sending some pics. I had been working with Diane on having some custom draperies made for our tropical patio covers which are called Palapas. She made one set last summer, and we liked them so much we had another set made this summer. They turned out quite nice and I thought you might want to see some of the pictures I took. I was so glad to have found your website on the internet. We can now actually use our outside table to eat dinner. Prior to having our draperies we had the setting sun right in our eyes. Thank you for the awesome product! Diane does really great work! Hey Max, I thought you would enjoy these. Feel free to use them. Anytime you have someone in the area that would like to see a pergola. I am happy to show them ours. Thanks so much it is absolutely beautiful!!! I just added it to HGTV. I am sending you a link so you can see. Enjoy! Max, What's the status on the wood that I ordered for the stairs? By the way, the pergola went up without a hitch. Very nice. Looks great and was a joy to assemble.